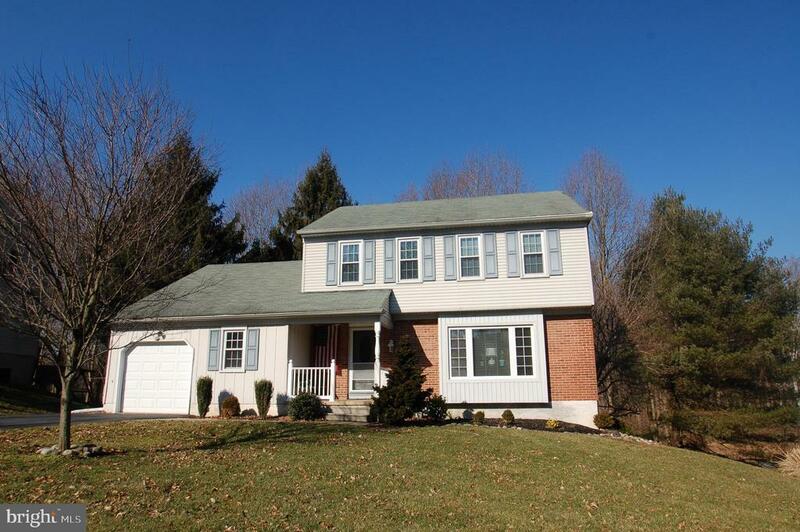 Two story colonial located in popular Mendenhall Village. This home offers a tremendous setting backing to protected county land. The views include a stream, wooded area and plenty of wildlife. From top to bottom the home offers many features and updates. The main level features include: large living & dining rooms with bamboo flooring, updated paint, chair & crown moldings. Flowing from the dining room is the eat-in kitchen with hardwood flooring, updated stove, range hood, ceiling fan, dishwasher and faucet. Rounding out the main level is a step down family room featuring a floor to ceiling brick wood burning fireplace, hardwood flooring, & cathedral ceiling. French doors welcome you to the great sunroom with tile flooring & deck access. Finally featured on the main level is the renovated powder room, laundry room and pantry. The upper level features three well scaled bedrooms, renovated hall bath, along with a large loft area which can easily be converted to a fourth bedroom. The walk-out lower level offers additional living space with a large recreation room with updated carpet including a moisture barrier. The lower level also offers storage space and updated sliding door. Other items of note are: updated hot water heater, windows, blinds, pull down attic and much more. This home has been well cared for and is ready for a new owner.